Are you ready to take your kitchen’s decor to the next level? If so, you might want to consider installing a backsplash. The days are gone when the typical backsplashes were boring, unappealing tile pieces or a thin piece of silver behind the stove area. Intricately designed backsplashes, featuring all kinds of colors and patterns, have become increasingly popular in the contemporary kitchen. 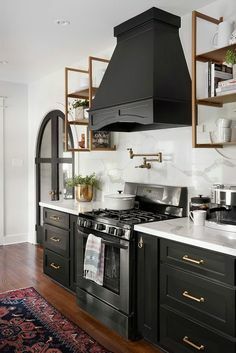 If you are simply interested in adding just a bit of style but not necessarily making a bold statement, you will want to be sure that your backsplash blends in with the overall decor of your kitchen while adding a bit of pizzazz. The key is to choose an appropriate material and give consideration to how your backsplash tiles are installed. Nowadays, you can have your tile installed in a variety of designs and patterns to help personalize it more towards your taste. 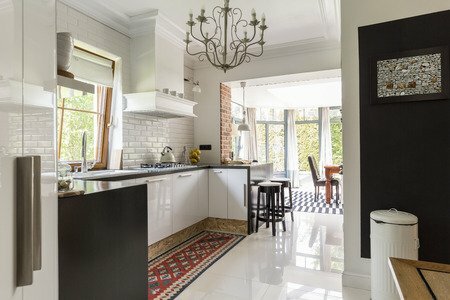 If you really want to make your kitchen pop and make a bold statement, you should select an elaborate backsplash design scheme. For instance, if your kitchen features a lot of neutral colors such as white or black, you can install a vibrant red backsplash. 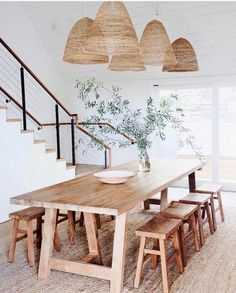 The way the field tiles are placed can also create emphasis. Just because you are decorating a contemporary kitchen, does not mean that you cannot get creative with your design. When selecting a backsplash, be sure to think outside the box. 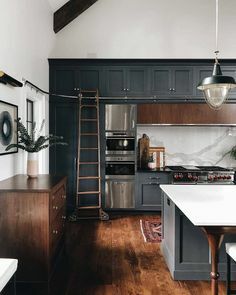 Your unique ideas can lead to a super stylish kitchen. For more expert tips, check back weekly at Century Tile.